Have you noticed imperfections in your mouth recently? You might want to consider getting veneers to cover up unappealing areas. 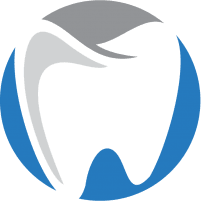 At Oxnard Dentistry in Oxnard, California, Kourosh Keihani, DDS, and his team offer top-of-the-line veneer solutions to make sure your smile looks exactly the way you want it to. To learn more about the benefits and uses of veneers, call or go online today to book an appointment. Veneers refer to thin layers of composite resin or ceramic that the team at Oxnard Dentistry uses to cover imperfections, gaps, chips, or discolorations on the outside of your teeth. In some cases, Dr. Keihani also recommends veneers to fix misalignments. This allows you to bypass orthodontic treatment, as veneers make your teeth appear straight. He might also suggest veneers if your enamel is damaged. The veneer protects the enamel to avoid further complications down the line. A veneer procedure often takes two appointments to complete. The first one is reserved for an in-depth discussion with Dr. Keihani and the team about your goals and what they can do to help you meet them. Veneers come in two materials: composite resin and porcelain. Typically, Dr. Keihani recommends that you opt for the porcelain veneer because it blends in with the rest of your teeth more naturally and resists stains better than composite resin. Once you and Dr. Keihani have come to an agreement about the kind of veneer you’ll use, he makes an impression of your mouth to use a reference point for your veneers. While your veneers are manufactured, you have the option of wearing temporary ones if you don’t want to wait for them to be ready to see results. When the veneers are ready, Dr. Keihani and the team remove the temporary ones and use a special adhesive to place the permanent ones on the treatment area. The great thing about veneers is that they’re incredibly durable. With proper care, your veneers can last up to 20 years without intervention or maintenance. Keep in mind that over time, you might notice that the veneers are worn out or feel misplaced. This might be due to changes in your mouth that have nothing to do with your dental treatment. Your veneers might also chip away because of overuse or if you bite into something hard. If you notice any changes, get in touch with Dr. Keihani and the team to make the necessary adjustments to ensure your comfort and the durability of your veneers. You should think of your veneers as your natural teeth. In other words, brush and floss at least twice daily and schedule regular check-ups with Dr. Keihani to make sure everything is in order. Remember: you may have gotten veneers to cover up sensitive or damaged teeth. Without proper care, you run the risk of reversing the effects of the veneer and causing more damage to the affected area. Get in touch with Oxnard Dentistry today by phone or online to learn more about the benefits of veneers.